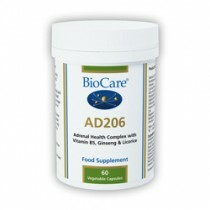 Contains ox bile concentrate, liver and pancreas tissue concentrates. The amino acid glycine is involved in the emulsification of fats. Features red beet and black radish. Contains lecithin, which has excellent emulsification properties. 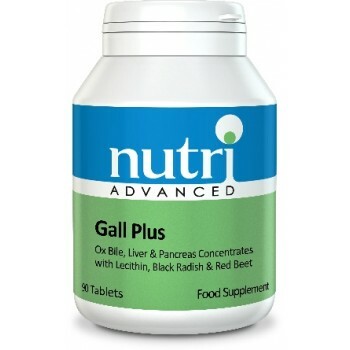 Gall Plus is a specialised complex containing bile salts, glandular concentrates of liver and pancreas, and other nutrients and food extracts, which may help support the health of the liver and gall bladder and assist in the emulsification and absorption of dietary fats. Ox bile concentrate, liver and pancreas tissue concentrates may help to support the functioning of these glands. The bovine glandular tissue concentrates are hormone-free. They are sourced from New Zealand, recognised worldwide as a country free-from BSE. New Zealand cows are fed on pesticide-free pastures and are never given hormones or routine antibiotics; and they meet organic standards. The pepsin in Gall Plus is from a fungal source. Pepsin is one of the main digestive enzymes. 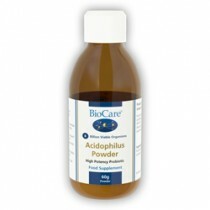 It can only function in the acidic lower stomach where it breaks down proteins into smaller peptides. Biologically, the amino acid glycine is involved in the emulsification of fats. In this way fats are solubilised for digestion and absorption. Lecithin is known to be an excellent emulsifier of fats. Lecithin contains high levels of phosphatidyl choline, and choline supports healthy metabolism in the body. Red beet root and black radish both have a long traditional use and may support a healthy liver and digestion. The B vitamins thiamine (B1), riboflavin (B2) and niacin (B3) all contribute to normal energy-yielding metabolism. Easy, variable dosing depending on your needs. Take 1-3 tablets with each meal.